Last updated by Liam Robertson at 15-01-2015 . Since Ace’s link is broken. I find same screenshot. Dean Evans, the original composer for the game, has at least shed some light on the fate of the game’s music. Some of it found a place in the otherwise atrocious Waterworld for the SNES, and he’s uploaded a couple of the unused tracks onto Youtube. 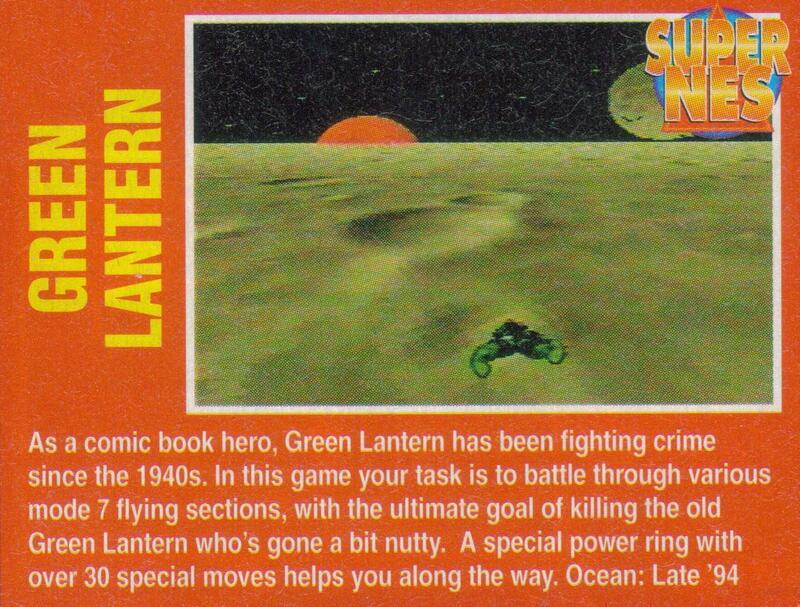 Your writeup says Hal Jordan, but looking at the game screenshots, that actually appears to be the Kyle Rayner iteration of the Green Lantern character!